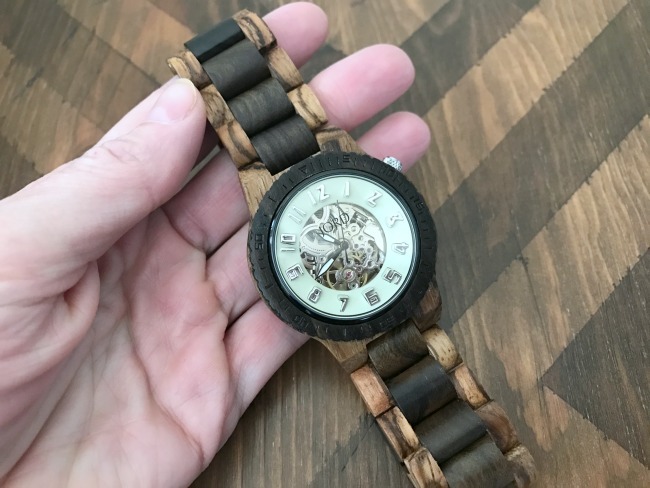 Well, I am here to tell you that people make WOOD watches. Yeah, I know-SO cool! Why I was unaware of this? I have no idea...but I know now! 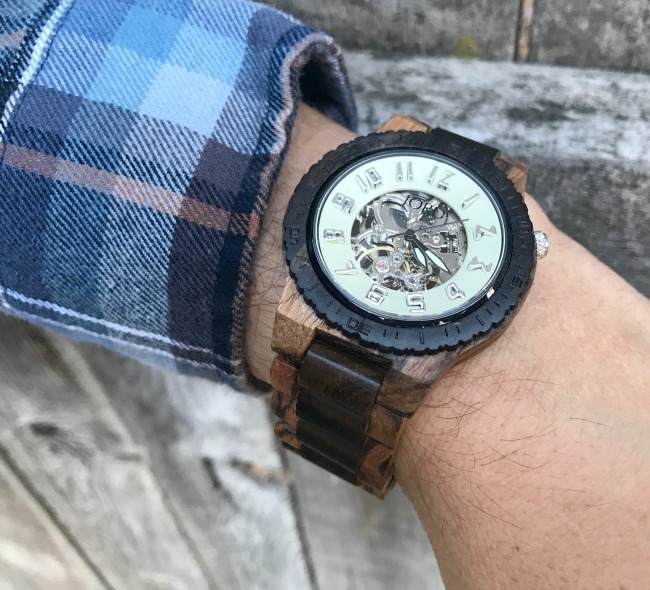 I mean look how beautiful this wood men's watch is...Swoon!! 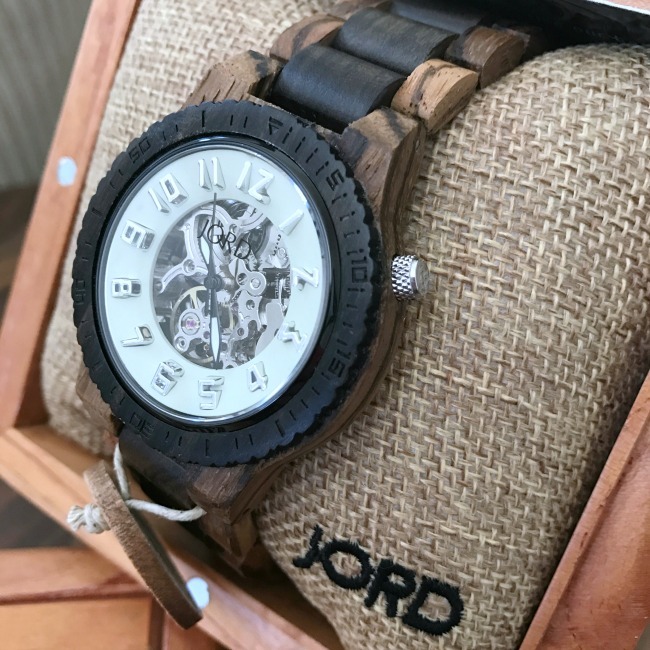 The first time I saw a Jord Wood Watch I fell in love, it was gorgeous! I knew that it would not only be something I would want for myself...but a perfect Christmas gift for my husband! I mean who doesn't want a cool watch?! ...out of wood no less. 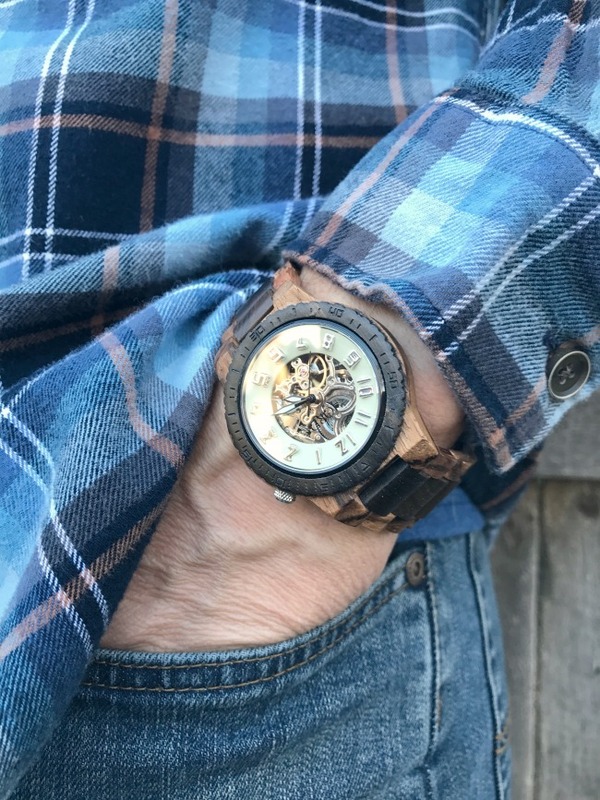 My Husband ended up choosing the Dover Zebrawood and Dark Sandalwood, it was actually one of my favorites, so maybe I could have surprised him, but I am so happy to know he loves it! So why am I sharing my husband's Christmas gift with you? Well, I have exciting news!! 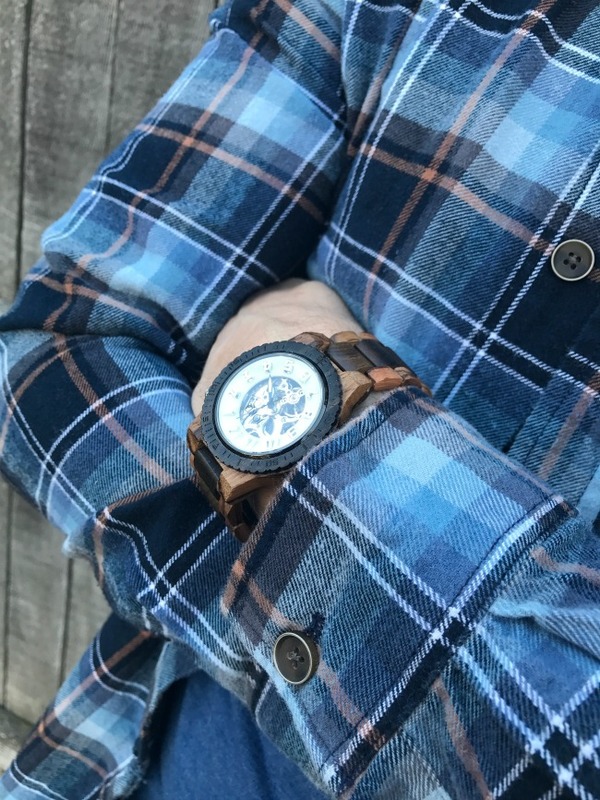 I have teamed up with Jord Wood Watches to give you an instant $25 e-gift code to use on their site for your new watch! How awesome is that!?! Enter the contest HERE to get your $25 code emailed to you instantly! Be sure to HURRY, you will have until 12-18-16 to redeem your code, and the code will expire on 2-28-2017. But the fun isn't over yet! 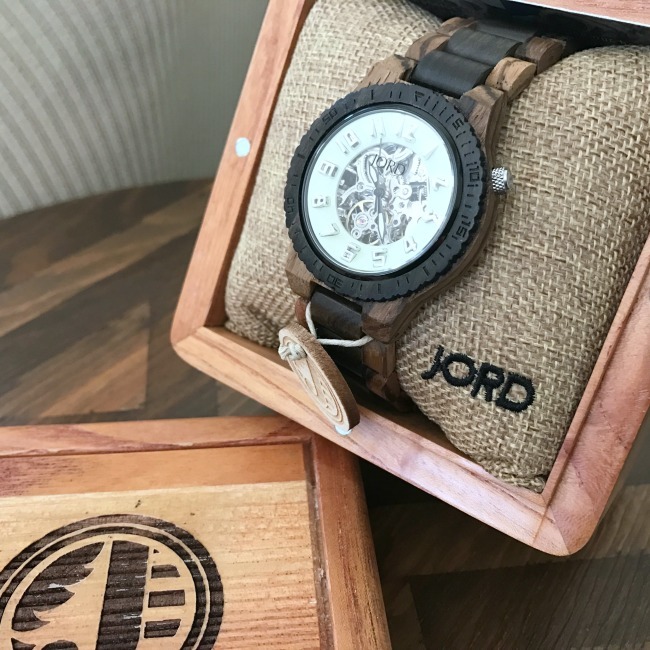 Jord is offering a very special Black Friday deal, they are discounting all their watches!! Eeeek! They rarely do this, so don't miss your chance today to save! The deals run today, Thanksgiving (11-24-16) and tomorrow, Black Friday (11-25-16)! Click Here to see the Jord Black Friday Deals! So do you want a unique watch? I know I do, hmmm maybe I should gift one to myself for Christmas! ;) I am amazed at the quality of the watch, it truly is a piece of art, and a timeless gift for those you love most! Thanks for visiting, and Happy Thanksgiving! *This post was sponsored by Jord Wood Watches, all thoughts and opinions are my own.